For more information contact Lonnie Poole or 919-833-3338. NOTE: 10 am shotgun start on Monday August 6th and 9:30 am shotgun on Tuesday August 7th. Lunch served both days. Practice rounds available only through July 23rd-August 5th. Price Monday–Thursday $40, Friday–Sunday before 1 pm $58, Friday-Sunday after 1pm $40. All tee times based upon availability. Contact Lonnie Poole Golf Course 919-833-3338. 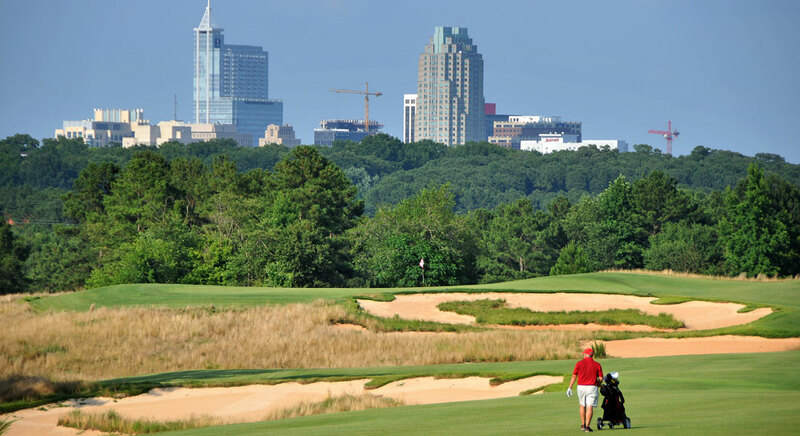 Host Hotel for Golf Tournament: Holiday Inn Downtown, 320 Hillsborough Street, Raleigh, NC 27603, Phone: (919) 832-0501. From 18:00-21:00 Hospitality, Raffle and 50/50 Drawing Monday Night August 6th at the Skye Tower Restaurant located on the 20th floor of the Holiday Inn. Beverages and light food will be provided. Make checks payable to SAFRE Golf. REGISTRATION DEADLINE: Must have registration in by July 30, 2018. 10 am Monday, August 6th Shotgun Start, 9:30 am Tuesday, August 7th Shotgun Start. Want to be a sponsor for this event? Email rfd.golf@raleighnc.gov for sponsorship information.